Hey, I’m back! Also, an apology. Hey guys, I’m back for a while, though I do want to say sorry. These apologies are for people who I said that I was going to do some certain stuffs, but ended up not doing those. What I said at the time was true, but I changed my mind on those ages ago, out of a lack of interest. Things change, I’m sorry if you guys were looking forward to it. To those who aren’t involved, or not: Heyy! I’m back, you don’t need to worry about my apologies above if you’re not involved. I don’t know who’s serious about what I said, but I’ll see. Anyways, I’m back. I hope I can have a good time with you all. See you. Feel free to PM me, if you want my characters to be involved in your plots, or mine. Currently writing many works-in-progress, among other things. Re: Hey, I’m back! Also, an apology. Greetings, returner! I know thee not, but welcome thee anyway. 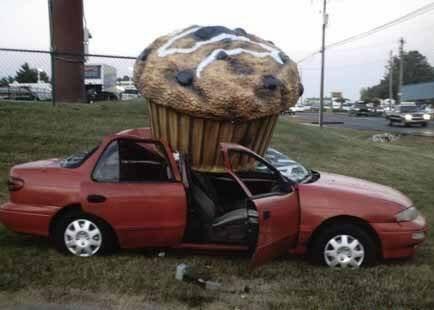 Here, have a muffin. I was expecting your usual Muffin launcher, Riven. I'm in the same position as the aforementioned, but doesn't stop me from extending a welcoming hand back You may need to revamp your character slightly to get up-to-date with the current standards, but with the help of mods this should be easily done. If there's any trouble, the RWBY spreadsheet should give you plenty of ideas.